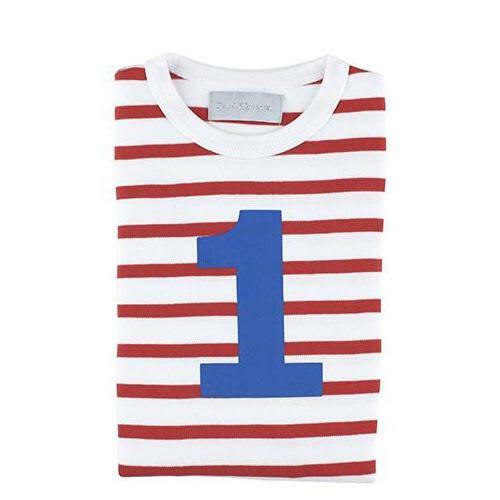 A red and white Breton striped cotton T shirt, featuring a French Blue number screen print. Long Sleeves only. A great t-shirt for the little ones from Bob and Blossom.